for those who have no one to buy gifts for, and those who have nothing to spare on such luxuries. or who I thought did? am not sure I agree with? 29 Jesus answered, “That’s true! You may go now. The demon has left your daughter.” 30 When the woman got back home, she found her child lying on the bed. The demon had gone. 31 Jesus left the region around Tyre and went by way of Sidon toward Lake Galilee. He went through the land near the ten cities known as Decapolis. 32 Some people brought to him a man who was deaf and could hardly talk. They begged Jesus just to touch him. 33 After Jesus had taken him aside from the crowd, he stuck his fingers in the man’s ears. Then he spit and put it on the man’s tongue. 34 Jesus looked up toward heaven, and with a groan he said, “Effatha!”[c] which means “Open up!” 35 At once the man could hear, and he had no more trouble talking clearly. 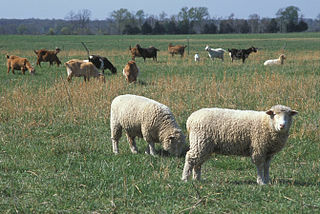 Such apparent similarities between sheep and goats. In one field, not always easy to tell apart. Yet the differences are there, and are significant. 31 When the Son of Man comes in his glory with all of his angels, he will sit on his royal throne. 32 The people of all nations will be brought before him, and he will separate them, as shepherds separate their sheep from their goats. and knew they were loved. to worry about and care for. you know I would have stopped if I did. how would I know where to start? There are so many others with more time and resources. in the face of every person.